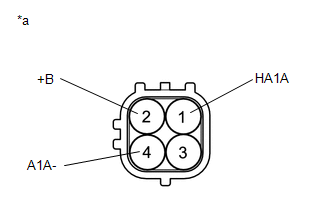 (a) Disconnect the air fuel ratio sensor connector. (b) Remove the wire harness clamp. 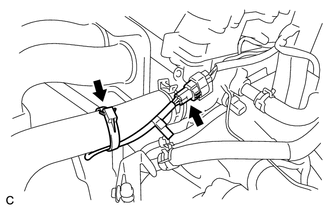 (c) Using SST, remove the air fuel ratio sensor from the exhaust manifold. 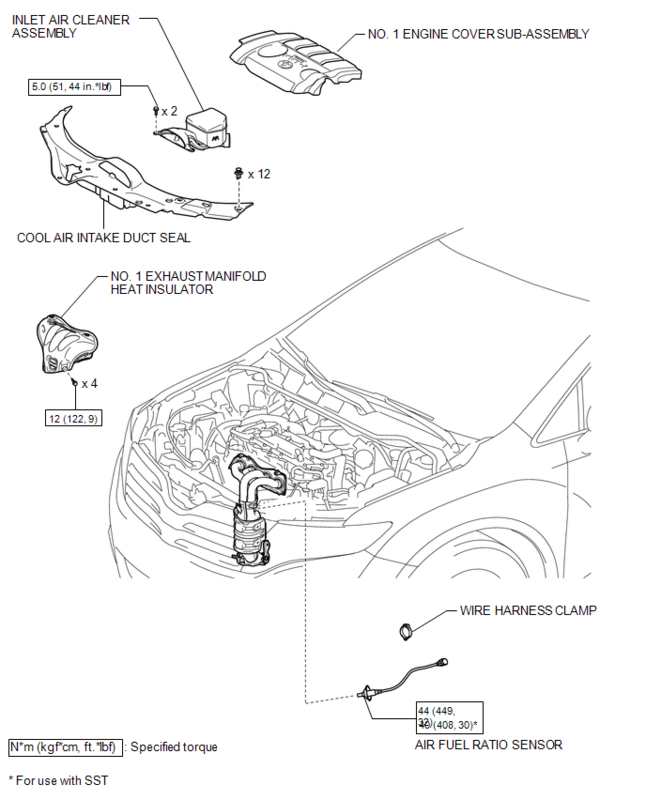 If the result is not as specified, replace the air fuel ratio sensor. 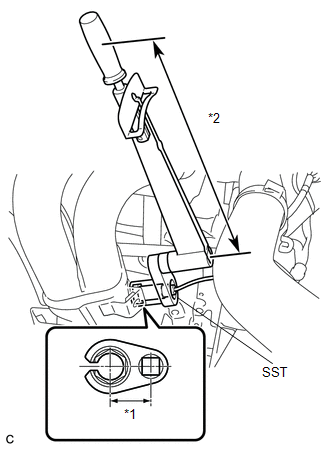 (a) Using SST, install the air fuel ratio sensor to the exhaust manifold. The "with SST" torque value is effective when using SST with a fulcrum length of 30 mm (1.18 in.). The "with SST" torque value is effective when using a torque wrench with a fulcrum length of 300 mm (11.81 in.) (See page ). (b) Connect the air fuel ratio sensor connector. 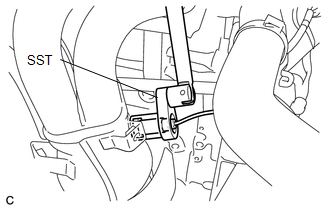 (c) Install the wire harness clamp.